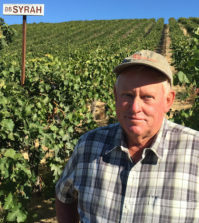 PROSSER, Wash. – Ron Bunnell didn’t start out with the thought of focusing on Rhône varieties – or even being in the wine industry. 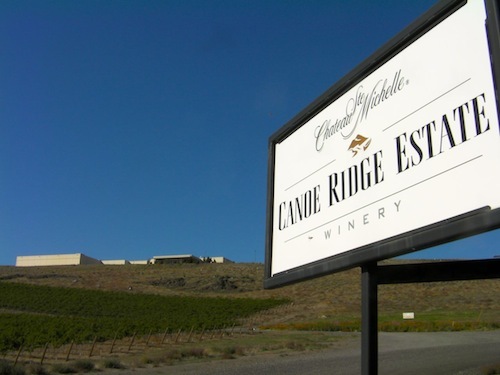 But today, the owner and winemaker for Bunnell Family Cellar in this Yakima Valley town arguably produces among the best Syrahs, Grenaches, Petite Sirahs and Rhône-style red blends in the Pacific Northwest. 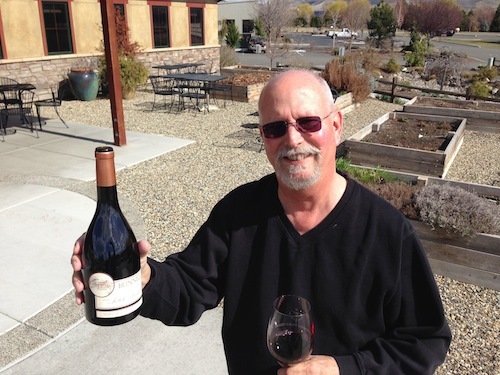 We recently traveled to Prosser to sit down with Bunnell at Wine o’Clock Bistro, which he owns with his wife, Susan, to talk about his winemaking career and how he landed in the cradle of the Washington wine industry. 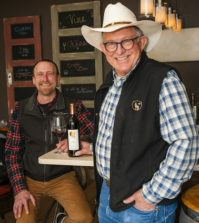 Susan Bunnell runs Wine o’Clock a wine country bistro at Bunnell Family Cellar in Prosser, Wash.
Bunnell was born in Memphis, Tenn., and a bit of that Southern drawl still works its way into his voice as he talks. He went to college at the University of Tennessee, where he studied biology, then earned a master’s degree in plant ecology. For a few years, Bunnell worked in government jobs as a botanist. After growing weary of that, he wondered if a career in the wine industry might be in his future. He got about halfway through the program when he was given some grapes by one of his professors. They turned out to be Cabernet Sauvignon from the Oakville American Viticultural Area in Napa Valley. After finishing his studies, Bunnell went to work for Charles Krug, one of California’s oldest and most respected wineries, before landing at Beringer. This opened a world to Bunnell that included rubbing shoulders with some of the best winemakers in France. After spending some time as a consulting winemaker in Monterey and Sonoma County, Bunnell landed at Kendall-Jackson. This is where Syrah entered his life. In 1999, Chateau Ste. Michelle lost its head winemaker, Mike Januik, and its red winemaker, Charlie Hoppes, as each left for new projects. A friend of Bunnell’s who worked on the vineyard side at Ste. Michelle Wine Estates called him and began to encourage him to apply for the job of red winemaker. During his time at Chateau Ste. 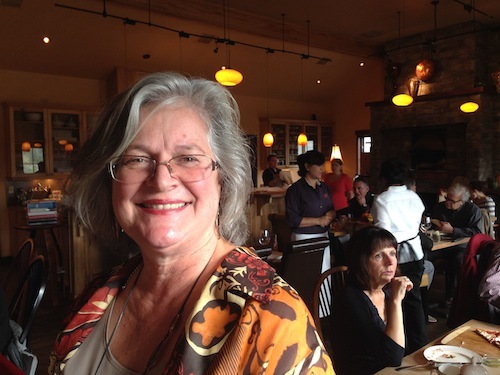 Michelle, Bunnell oversaw a period of tremendous growth, in which the red wine program at the state’s flagship winery doubled. By 2005, Bunnell was ready to move on and build his own winery. Thus, Bunnell Family Cellar was born. 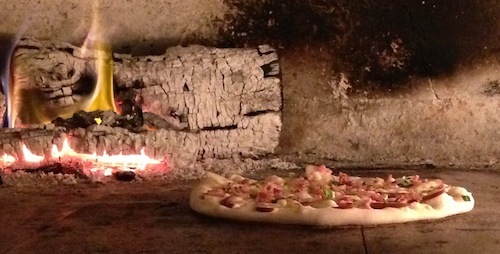 A pizza cooks in the wood-fired oven at Wine o’Clock bistro inside Bunnell Family Cellar in Prosser, Wash. When he left Ste. Michelle, one of the first questions Bunnell had to ask himself was what his focus would be. Within a year of opening, Bunnell’s decision to start his own winery was paying off. In a blind tasting of about 130 Northwest Syrahs conducted by Wine Press Northwest, two of Bunnell’s 2004 Syrahs – from Boushey-McPherson and Clifton vineyards, were among the top wines. Today, Bunnell continues to make a lot of Syrahs, including a new one called ALX, that is named after his son, Alex. Last year, the inaugural 2009 vintage of ALX landed at No. 8 in The Seattle Times top 50 list, as well as No. 26 on the Great Northwest Wine top 100 list. While the 2009 was 100 percent Syrah, future vintages will be a blend of Syrah and Malbec. 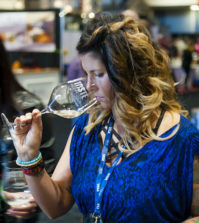 Last year, Wine Press Northwest magazine put together a tasting of Rhône varieties that didn’t include Syrah, as well as Rhône-style red blends. Once again, Bunnell’s wines showed beautifully, with his 2008 Lia, 2008 Vif, 2008 Mourvèdre, 2009 Grenache and 2009 Petite Sirah all earning the publications top “Outstanding” rating in the blind judging. Bunnell is excited about Grenache, which is coming on as a strong variety in Washington, as well as Mourvèdre, which required a lot of patience while waiting into November for the grapes to ripen. Petite Sirah, a bold and tannic red grape, has Bunnell particularly intrigued. 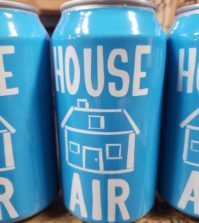 RiverAerie is a label that is named after the Bunnells’ family home overlooking the Yakima River. Wine o’Clock is the name of the couple’s bistro in the Vintners Village in Prosser, so this label includes delicious, everyday reds and whites with a particular focus on Italian varieties. 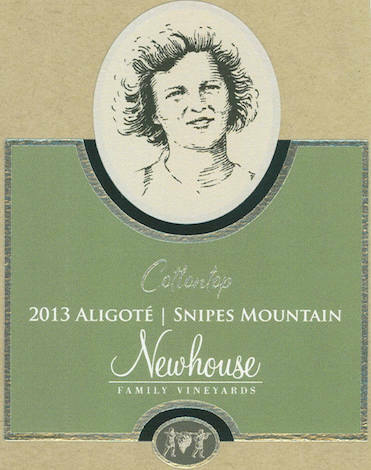 Newhouse Family Vineyards is a partnership with the Newhouse family, particularly patriarch Steve Newhouse, who owns vineyards on nearby Snipes Mountain. Under this label, two wines are made, a red called Vestige, and a white called Cottontop. This label should not be confused with Upland Estates, owned by Steve Newhouse’s son Todd with wines made by Robert Smasne. All four wines are available at the Bunnell Family Cellar tasting room at Wine o’Clock in Prosser. In addition, Bunnell Family Cellar, Upland Estate and Newhouse Family Vineyards share a tasting room in the Warehouse District in Woodinville.